Fresh Freeze-Dried Rhodiola 300mg 100 Vegan Capsules. 100% Fresh freeze-dried Rhodiola - no fillers, binders or other additives. Below are reviews of TERRANOVA Rhodiola 300mg - 100 Vegicaps by bodykind customers. If you have tried this product we'd love to hear what you think so please leave a review. 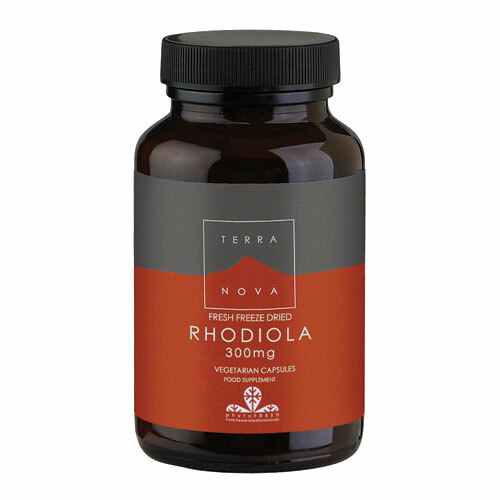 TERRANOVA Rhodiola : the perfect herb for energy but also amazing when going through very stressful times. 1 gives you energy and focus but 2 before bed actually relaxes mind and body that helps sleep. The only adaptogen that works as intended. Have tried many other Rhodolia supplements and this one works. Herb from Siberia and not China which is always a good thing.